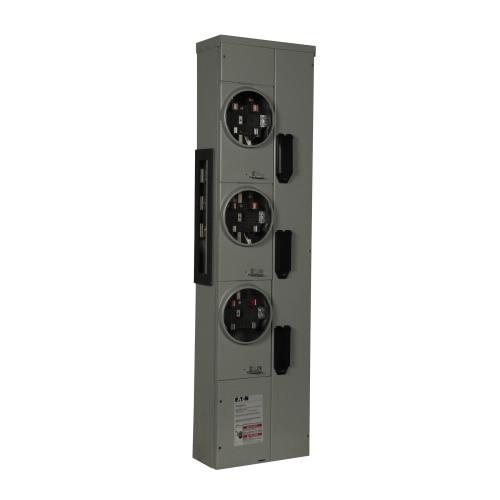 Eaton Residential meter stack module with 1-Phase in/1-Phase out, is built to bolt-up with main service modules and commercial modular metering stacks. This 1-mm module with multiple metering, has current rating of 200-Amps and voltage rating of 120/240-Volts. It measures 52.35-Inch x 7.01-Inch x 13.5-Inch. Module with outdoor enclosure, features four jaws, three sockets and bus rated at 800-Amps. Meter stack module is UL listed.